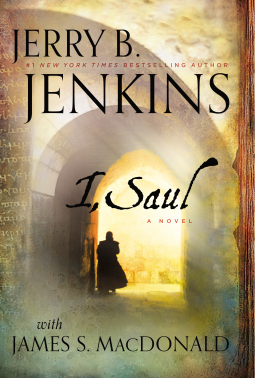 I was granted a digital review copy of I, Saul by the publisher (Worthy Publishing) in exchange for an honest review. Told from the point of view of the disciple Luke, the apostle Paul and “Auggie,” a modern-day scholar, I, Saul, is a fast-paced story of intrigue and mystery. Readers will be reminded of Indiana Jones and the DiVinci code as they become absorbed in this page-turner by a master storyteller. Along the way they will learn of the fictionalized but plausible story of the life of Saul who relentlessly persecuted Christ’s followers prior to his conversion when he became known as Paul. When I first joined Netgalley in August, I went on a book requesting spree. As a new blogger, I didn’t expect to be approved for many books let alone a New York Times bestselling author. Jerry B Jenkins is one of two authors of the Left Behind series. Seeing his name and reading the book description, I decided to give it a try and request it. I was very surprised when my request was granted. Before I got started reading, I was invited to do a blog tour. As was expected, given my experience of reading part of the Left Behind series, the writing was excellent and it had a great premise. It was truly fascinating to learn more about Paul. I have stood in front of the prison where Paul was kept. It was an experience that words cannot describe. We did not get to go in, so I have not seen the actual dungeon, but I can only imagine what it was like. I was disappointed with the pace of the action, though. All of the praises spoke volumes about how it was fast paced. I found it lacking. the action didn’t really pick up until around chapter twenty and then slowed back down. The story line always remained interesting, it just seemed a bit bogged down in the details. The description comparing this to Dan Brown’s Robert Langdon was spot on. Auggie was very well versed in his field and his moral high ground helped keep things interesting. Despite numerous opportunities, he stuck firmly to his beliefs. A lot of Christians today would take the opportunities that Auggie was offered. It’s disheartening. I really liked following Luke’s reading of Paul’s memoir manuscript. I don’t know a lot about the Jewish faith or the role it played in Saul’s early life, and it was interesting to learn more about his life prior to his conversion. It wasn’t clear if this was a standalone or the first of a series until the end. I look forward to reading the rest of the story in I, Paul, due out next year in 2014. Jerry B. Jenkins’s novels have sold more than 70 million copies, including the phenomenal mega-best-selling Left Behind series. Twenty of his books have reached the New York Times best-seller list, including seven that debuted at number one, as well as the USA Today, Publishers Weekly, and Wall Street Journal best-seller lists. Jenkins has been featured on the cover of Newsweek magazine. Jerry and his wife, Dianna, live in Colorado.